Used F.E. Olds & Son Studio model (Fullerton, Calf.) 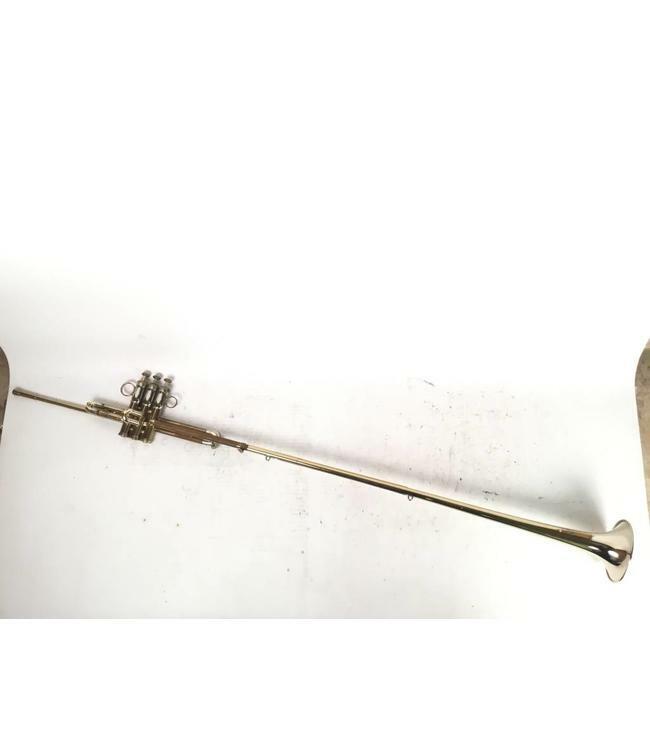 Bb Herald Trumpet in lacquer. 2-piece bell (Nickel silver bell flare) and in overall very good condition for age. Body is modestly lacquer, however also some raw brass. Includes case.